Even though I am from a village close to Saida and I know the city pretty well, I didn’t know there was a synagogue there. I did some research and there’s apparently four synagogues in Lebanon, one in Beirut being renovated, one in Sidon and one in Aley. I couldn’t find any reference to the fourth one. For those interested, I found some really old pictures of Synagogues and Jewish neighborhoods that you can check [Here]. There’s also a YouTube video on the jews of Lebanon that you can watch [Here]. I think it’s really important that we preserve such monuments despite our ever-lasting conflict with the so-called Jewish state. Those Jews who are still in Lebanon are as much Lebanese and maybe more than many people who call themselves Lebanese today. Unlike many recently and possibly illegally neutralized Lebanese citizens. Celebrate Lebanese Diversity and embrace our differences. We are not in conflict with the Jews, we have problems with Israel. You and others can see a bigger picture. Unfortunately,not all of Israel’s enemies feel that way. You have problem with Israel? What about Hisvullah the Terrorist organisation don’t you have problem with them??? The best thing that will ever happen to Lebanon is when we stop following our stupid political parties and our “Za3ims,” and we make peace with Israel and open our borders. And as Fadi above me clearly said, some Jewish-Lebanese are more Lebanese than those naturalized, and I think everyone knows who I am talking about. Hope someday we open our eyes and see how others have moved on from following a person for over twenty years as if he were a King. Hahaha, we Lebanese are funny. 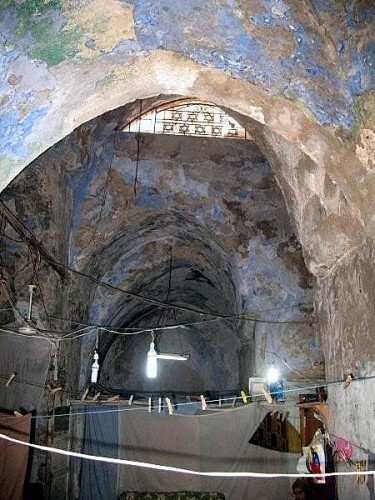 There is a synagogue in Bhamdoun, Aley Qaza. 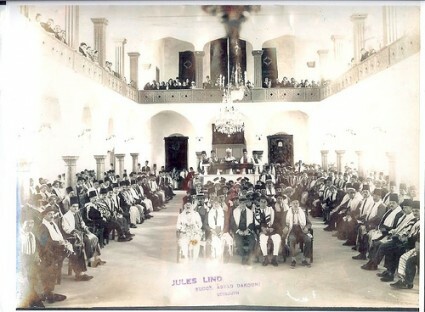 There’s a synagogue in tripoli Lebanon in al Kanaas street . Near khan al askar beside the christian Orthodox Church and also a Jewish cemetery in al Zaharias about 500 meters from the synagogue . The last Jewish left tripoli and run away to Israel back in 1966 before 1967 war. Of dollars and David Mizrahi and his run away to Cyprus and from there to Israel ..